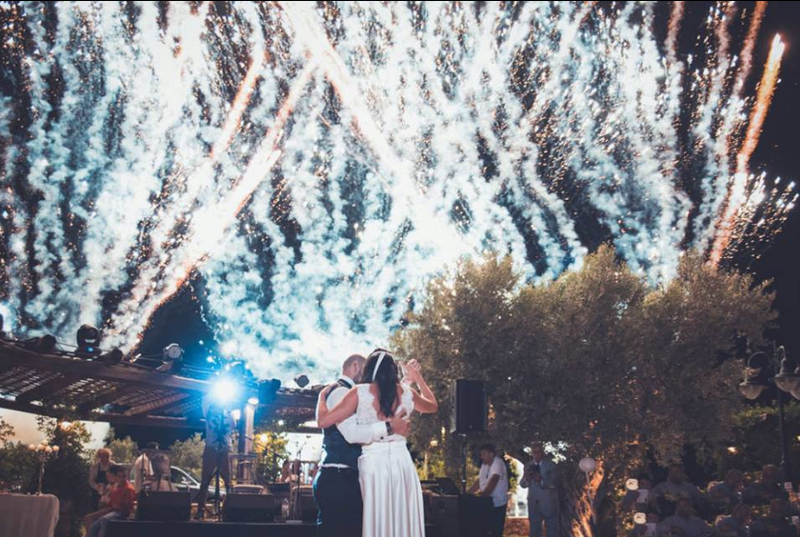 Our company offers Fireworks & Special Effects services so that you can create the most spectacular result and a very special atmosphere in the most important moments of a wedding ceremony like the entrance and the couple's first dance. 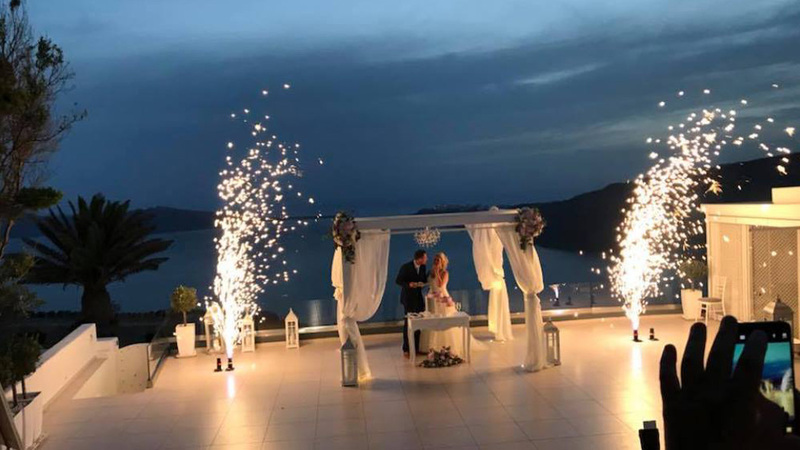 We guarantee for an excellent and professional result and it is our commitment to create fantastic shots, ideal to be captured by your professional photographer, so that these moments will last for a lifetime! 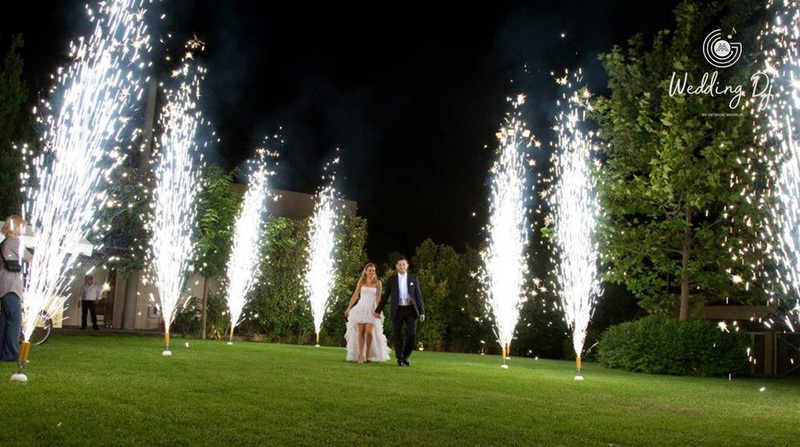 Fireworks and Special Effects don’ t need to be extra pricey to create the desired atmosphere. 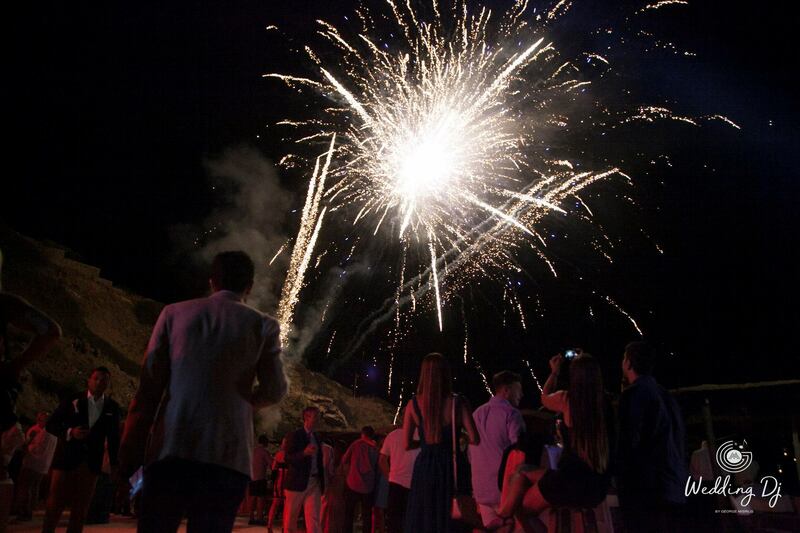 Our company has an official permit and license to use fireworks at parties and evemts. All of the products used are of high quality and come together with an approved safety certificate. The starting budget for fireworks is 100€, with the average budget being 250€-350€ for the “Fountain” Fireworks and 350€ - 500€ for the Aerial Fireworks. The specialized cordless detonator is included in the price. 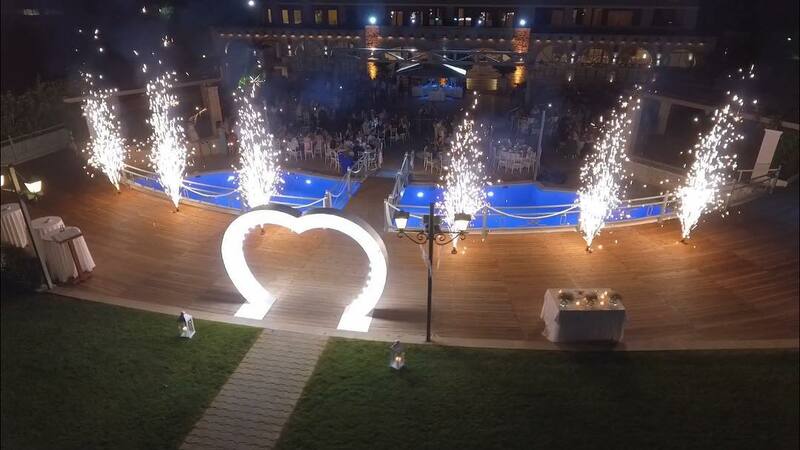 We always put in first priority the safety of every guest, and that is the reason why every single firework is fired by authorized personnel, provided every security standard is kept. 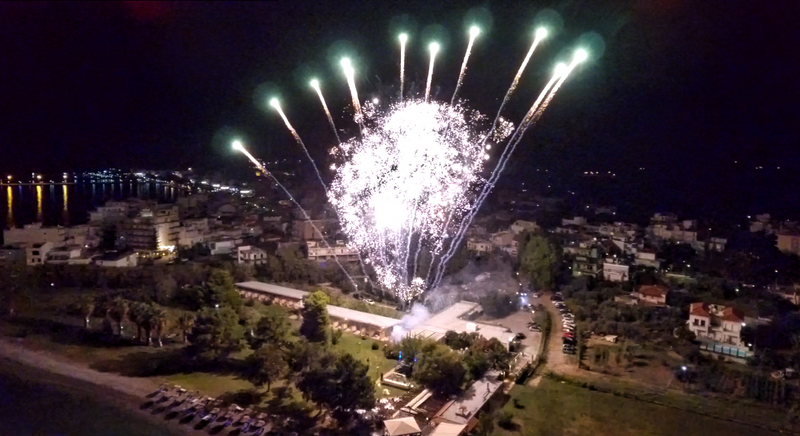 The fireworks used in the events are always of the highest standards and specifications, and come in many types according to your preferences. They are widely known for the beautiful atmosphere that they create but also for the total safety of everyone around them without a special permit form the Fire Department. 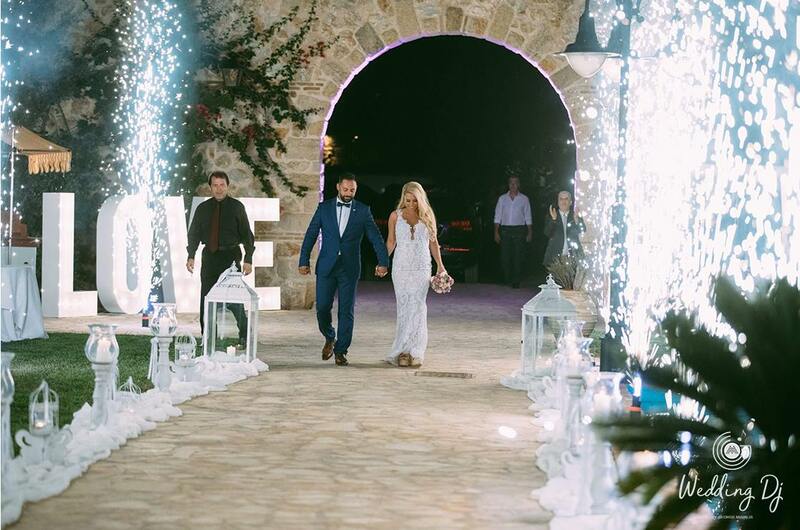 We use the mostly in a very special moment of the wedding event like the entrance of the couple, the couple’s first dance, as well as the moment the couple is cutting its cake. Every action is performed with a cordless firing system from our specialized safety staff. Do you wish to witness a truly magnificent scenery with plenty of colors, rhythm and outstanding patterns? 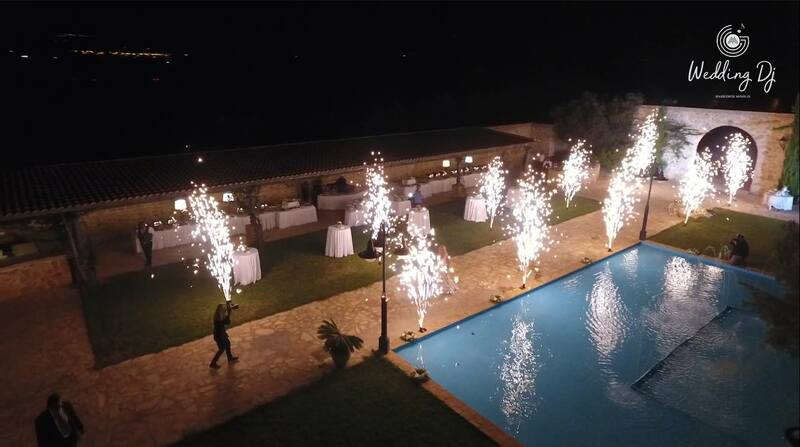 Then we can create a beautiful scenario with aerial fireworks and turn the night into day leaving guests with a constant “WOW” on their lips! 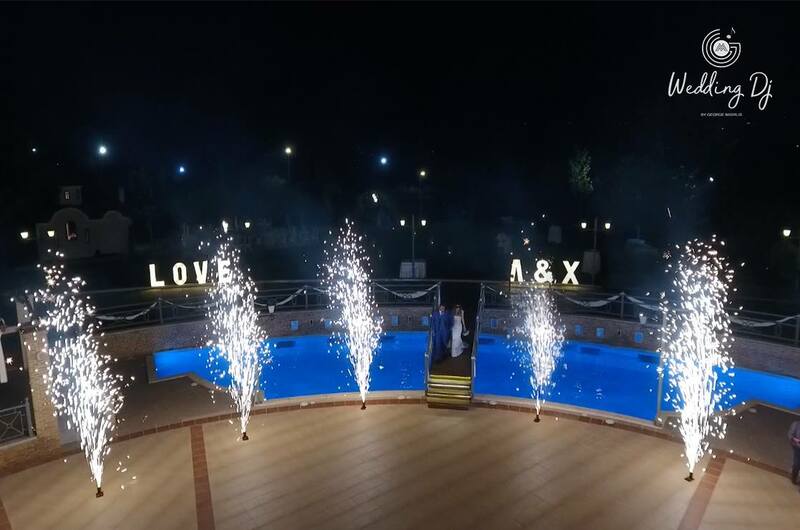 By the end of your wedding party, the final result will remain as the most beautiful memory in everybody’s mind, and leave you with unique shots and feelings that will fill your wedding’s album with the most blissful memories!! 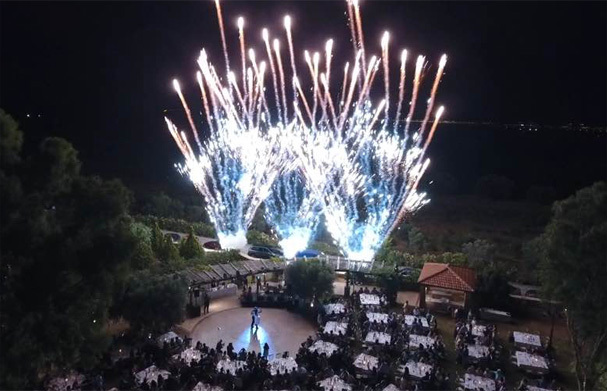 Aerial Fireworks of the “Fan” type are extraordinary spectacular and are usually preferred for use after the couple’s first dance. 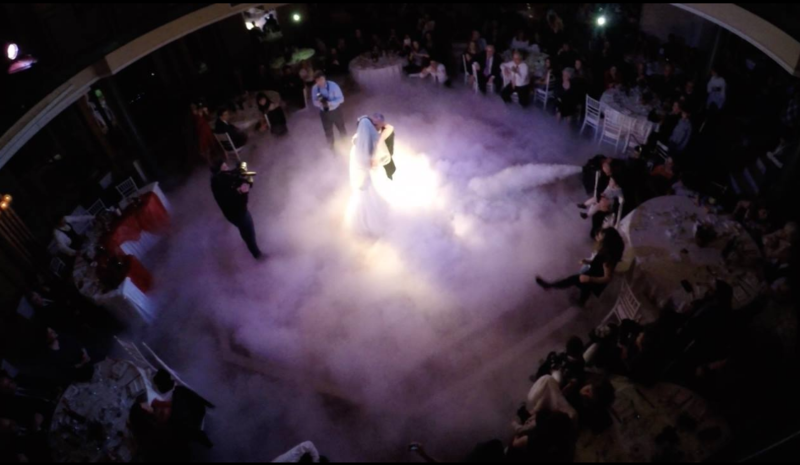 The height they can reach is about 100 meters and they are by far the most amazing choice you can make to end your first wedding dance! Their cost depends on the amount of shots fired and not from the routine’s duration. Every action is performed with a cordless firing system from our specialized safety staff. 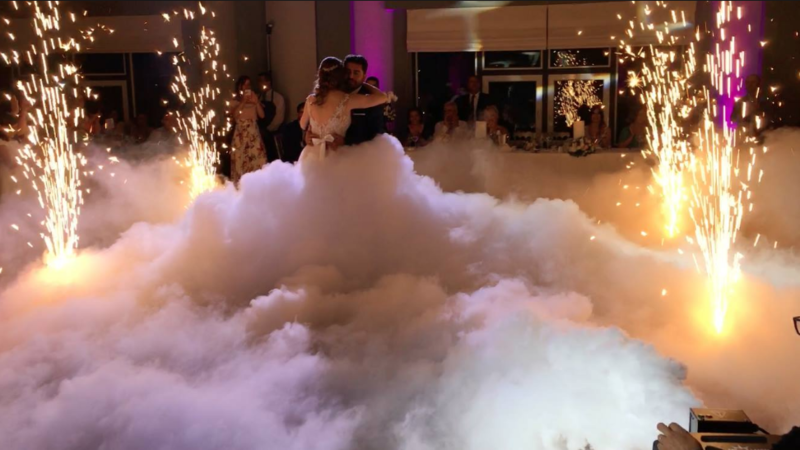 Create a unique, sensational experience for your wedding night with our one-of- a-kind smoke effects! 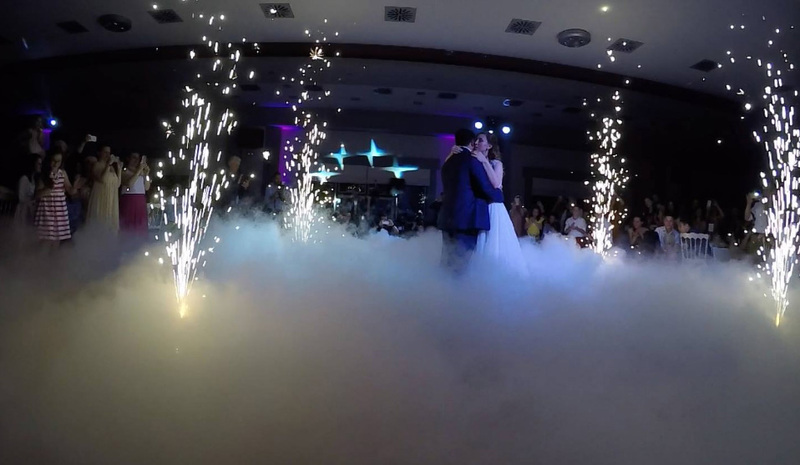 Spread a veil of mystery and sensation in your special night with smoke and dry ice, and in combination with decorative lighting and fireworks the result will amaze everyone in the room! 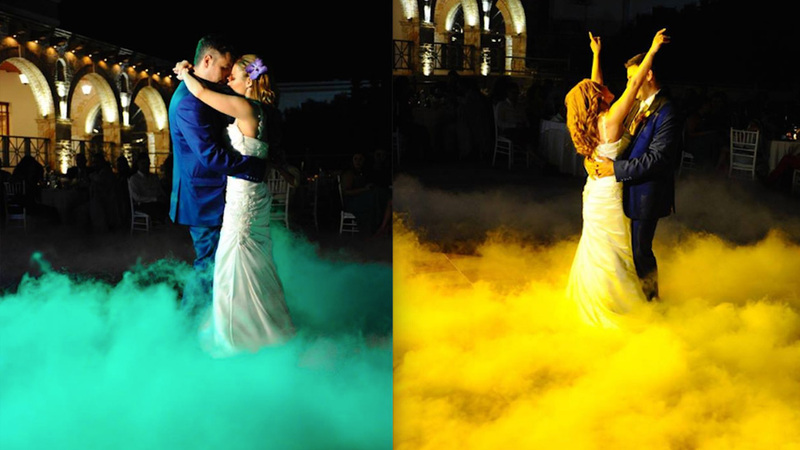 Colours, atmospheric low fog, or a fully formed smoke effect can decorate the dancefloor or every other space you wish, with one of the most spectacular sights you have ever witnessed!